Chinatown is ground zero for Chinese New Year celebrations on Friday. The vibrant neighbourhood has changed a lot over the years. Hundreds of thousands of Chinese-Canadians across the Greater Toronto Area are ready to ring in Chinese New Year on Friday. 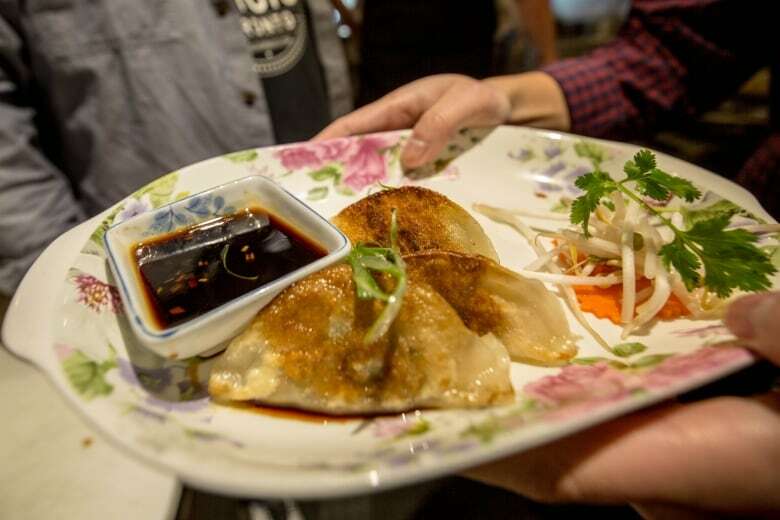 Change has been afoot in Chinatown over the past year as some older businesses have moved out and new restaurants — with modern twists and led by young chefs — are moving in. Chef Craig Wong greets his truffle vendor in the kitchen at the back of his restaurant Jackpot Chicken Rice on Spadina Avenue just north of Dundas Street West. As he weighs out exactly the right amount of the expensive fungus, Wong explains that he will use it to make lobster parmesan truffle e-fu noodles — a twist on a classic Chinese noodle. "It's a bit of that European as well as that Asian background," Wong tells CBC Toronto. "It's that play for us on using the finer elements of cuisine and presenting them in a super-comfortable, approachable way." Wong, who is of Jamaican-Chinese descent, grew up in Scarborough and remembers coming down to Chinatown often when he was a kid. "As a family we would go and dine at different restaurants. My dad would show me part of my heritage and it really struck a chord with me," Wong explains. It's a big part of the reason he finds himself back here as a business owner. "As an outsider, you'd kind of see the other people and their businesses and you wouldn't get to know them," he says. 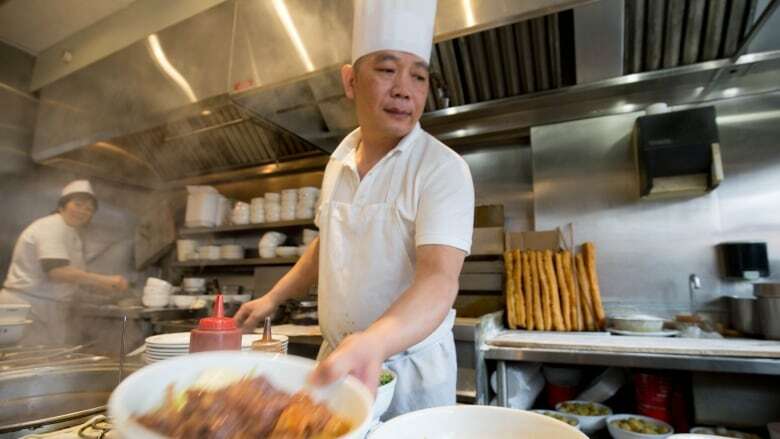 "I think I feel the real warmth of Chinatown being here and being in business." Wong tests the limits of classic Chinese food, offering dishes like duck confit and foie gras pot stickers and "Cereal Killa Prawns" — a deep-fried shrimp with a wheat cereal coating. He often makes food for people looking for "a new experience," which means there can be some pressure from diners who want him to make traditional dishes. "As a chef we need to ensure that we're being respectful of that and we're not going to give them something that's straying too far away," he says. "But at the same time we're putting our spin on it so that we're giving the best dish that we possibly can." Historian Arlene Chan stands in what she calls the heart of Chinatown — the southwest corner of Dundas Street West and Spadina Avenue. "I get so excited standing on this corner because there's so many things to point out," she tells CBC Toronto. She gestures across the busy intersection at the Rexall drugstore on the northeast corner, and describes the "infamous burlesque theatre," called the Victory, which used to stand there. Back when stores would shut down on Sundays in the times of Toronto the Good, Chan explains that Chinese community groups would rent out the theatre and show Chinese movies and perform Chinese operas. She spins around and looks up at the towering Dragon City Mall behind her. "In the 80s the mall represented the Hong Kong investors who had money," she says. "So this mall was built and at the very top floor where the Sky Dragon restaurant is — famous for their dim sum — it used to be the Mandarin Club ... the first exclusive club for Chinese business people." Chan remembers a time when she first moved into the neighbourhood, on Beverly Street, in the 1950s, just before the original Chinatown near the corner of Elizabeth Street and Dundas Street West was demolished to make way for the new city hall. 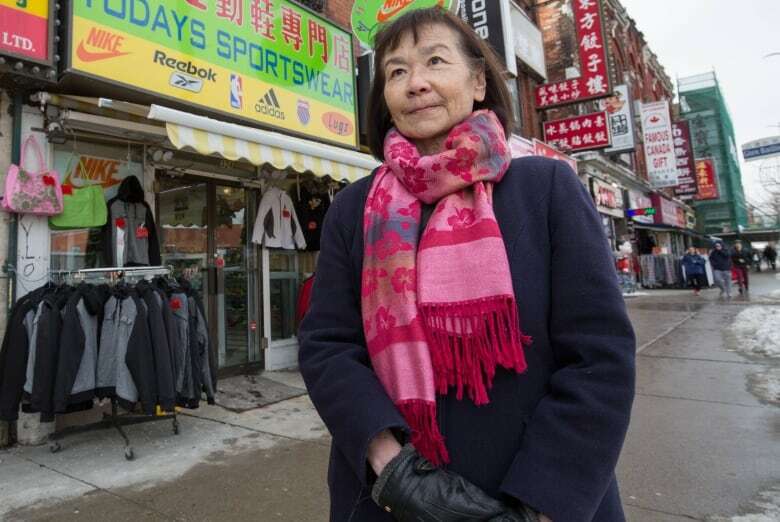 "So that meant that the Chinese businesses and residences had to move somewhere, and they couldn't go in any other direction except to go westward along Dundas," she says, adding: "The real estate here was still affordable, especially homes." 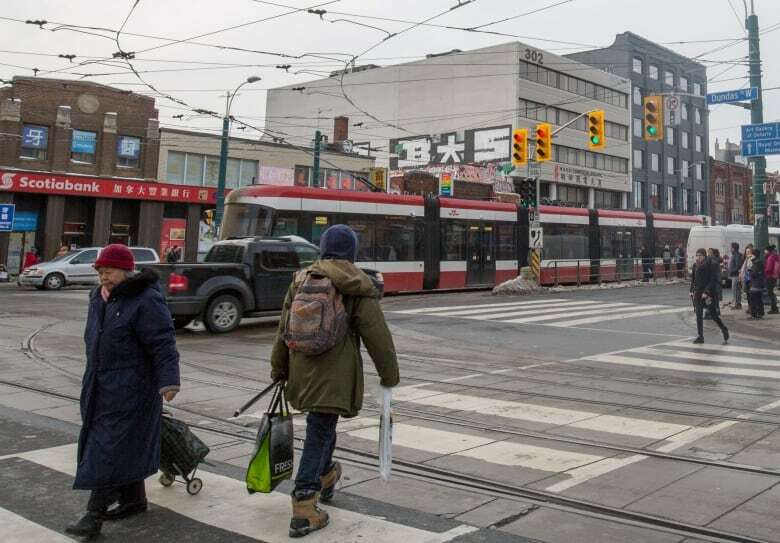 But now, like so many parts of Toronto, real estate prices are skyrocketing, with the Chinatown Business Improvement Area telling CBC Toronto that values along stretches of Spadina Avenue have gone up 50 per cent in just three years. However, Chan says she's optimistic about the life of the area, since a brand new school is being built near the bottom of Spadina Avenue, in the CityPlace condo neighbourhood. It also happens to be named after community leader and her own mother, Jean Lumb. 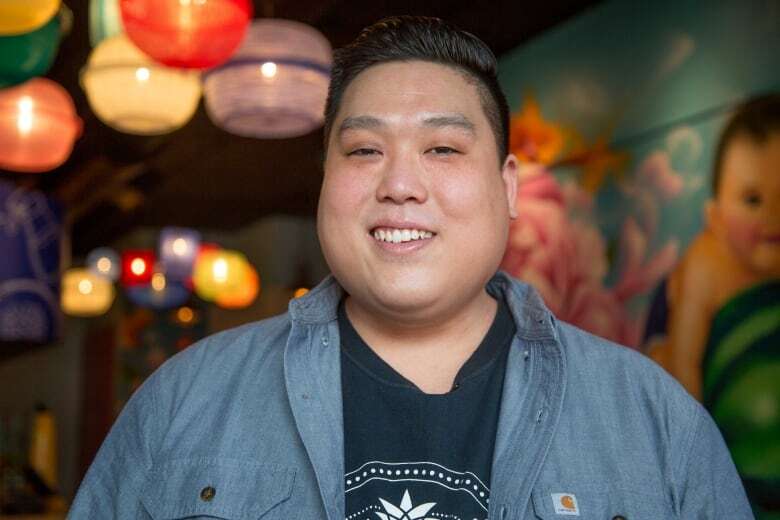 "We're getting a whole new demographic moving into this area and that's going to constantly provide people who want to go to the restaurants and go shopping," says Chan. "I don't think that anybody can do anything to say we want to keep it the way it's always been and sort of freeze the time period."